The average home thermostat is getting smarter. More than one in eight broadband households now has a smart thermostat connected to the Internet, controlled with an app and able to adjust itself automatically. However, most smart thermostats still have a big drawback: they only know the temperature of the room they’re in. Typically, that room is a hallway, which can be a major barrier to staying comfortable if the rooms where you actually spend your time are hotter or colder. 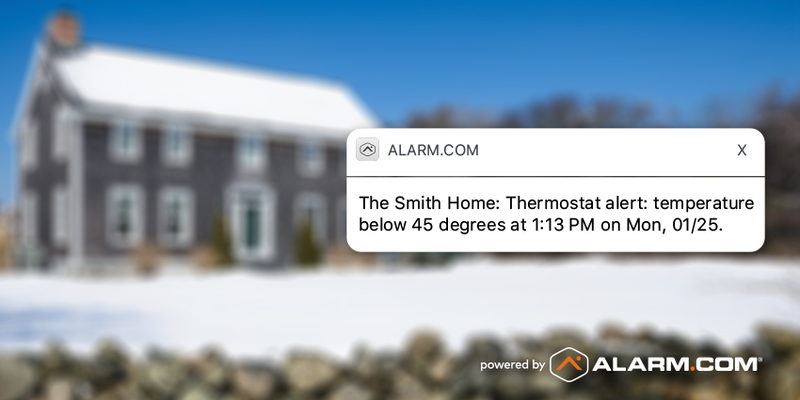 With a smart home powered by Alarm.com, however, your thermostat can know the exact temperature of any room, and then act on that information to keep you more comfortable. What does an Alarm.com temperature sensor do? Unlike other thermostats, Alarm.com’s Smart Thermostat can access information from other devices around your smart home – including purpose-built temperature sensors. 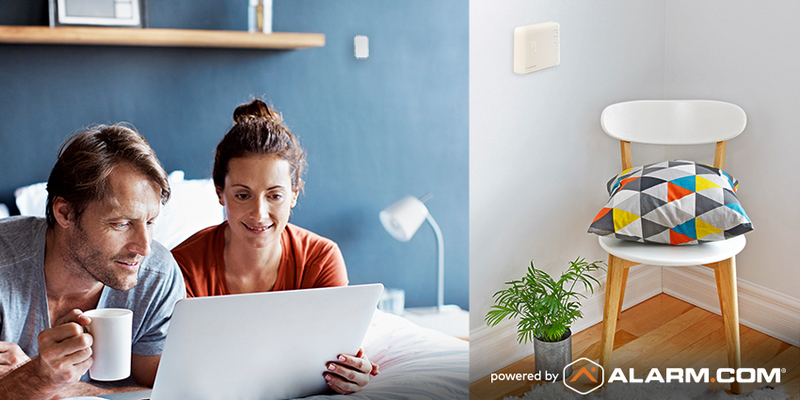 Installed on any interior wall and wireless connected to your thermostat, they provide a room-by-room temperature reading of your whole house, letting you customize your comfort in different areas without the need for separate HVAC systems. 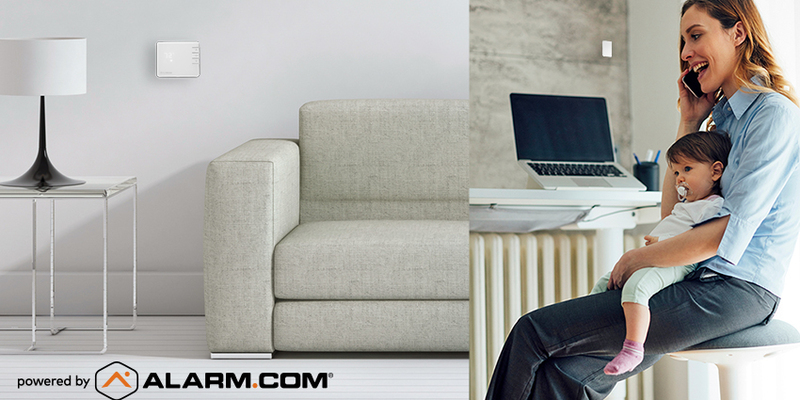 Your thermostat can deliver precise comfort to any room where a temperature sensor is installed. In your Alarm.com app (or as part of a custom Scene command) choose which sensor you want to target (e.g. Living Room) and your ideal temperature. The thermostat will then cool or heat your house until your chosen room is perfect. Now, you can easily correct a room that’s too hot, or make sure that the nursery is just right at naptime. With easy scheduling tools in your Alarm.com app, it’s simple to take the next step and create a custom HVAC schedule that matches your family’s routine. For example, you can start your day with the kitchen temperature sensor controlling the thermostat. After school and work, you can have your thermostat target the living room sensor until bedtime, when the upstairs landing or bedroom sensor takes over for a cool night’s sleep. 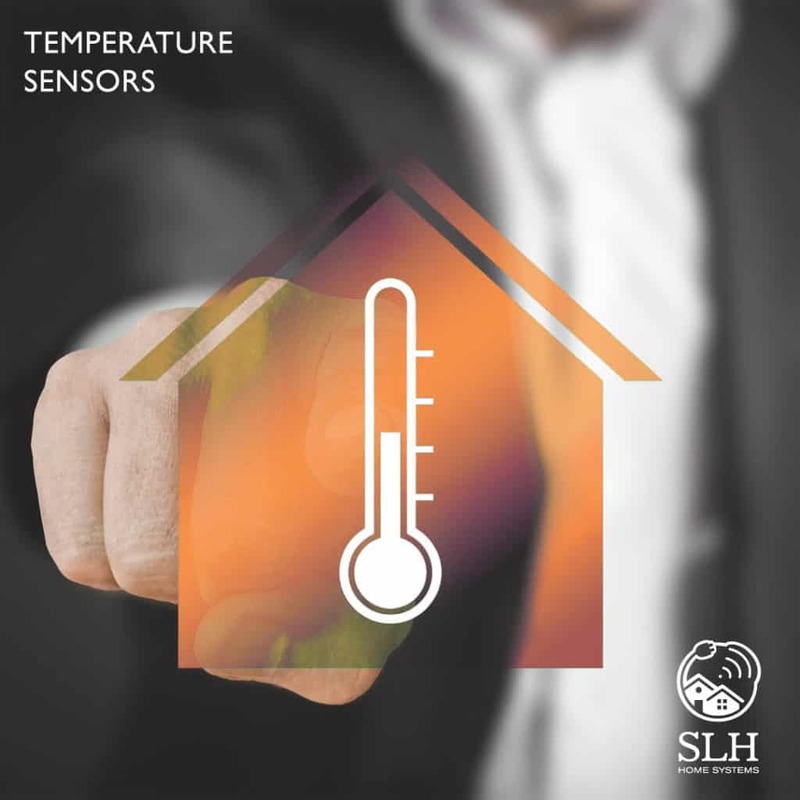 As well as controlling your HVAC, temperature sensors can also help you avoid big-ticket home repairs by giving you early warning of problems. For example, a temperature sensor in your basement or crawlspace can trigger a smartphone alert if the temperature drops to freezing point—indicating that your water pipes could freeze and burst. It’s no exaggeration that in a case like this, early awareness and fast remediation could save you thousands of dollars in cleanup costs. How do I get Alarm.com temperature sensors? To upgrade to precision comfort, just ask your Alarm.com service provider to add an Alarm.com Smart Thermostat and temperature sensors to your system. While you’re talking, ask about a doorbell camera too. This information is from alarm.com. Previous Post There’s No Substitute for Professional Security Monitoring Next Post What does “Powered by Alarm.com” mean?